Built on the platform of the RSC-1650LS laminator, the RSC-1650LSH gives the added feature of a heat assist top lamination roller. This unique feature helps activate the adhesive of pressure sensitive laminates for a smooth clear finish and shorter laminate cure times. The added heat helps reduce the phenomenon know as "Silvering" when using some cold lamination films. Built on the platform of the RSC-1651LS laminator, the RSC-1651LSH gives the added feature of a heat assist top lamination roller. This unique feature helps activate the adhesive of pressure sensitive laminates for a smooth clear finish and shorter laminate cure times. The added heat helps reduce the phenomenon know as "Silvering" when using some cold lamination films. The RSC-1651LS comes with a 1 year manufacturer warranty on parts. Installation, training and service contracts are available - Please call for additional information and pricing. MAP Price Listed. 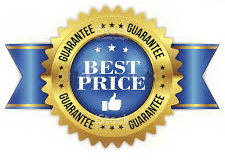 Please call for Discounted Pricing! Free Shipping is Dock to Dock. Lift Gate and Inside delivery are additional! 77-1/5" x 25-3/5" x 47-2/5"